It was in a Western Auto store that I bought my first fly rod. At that time, 1952, that hardware store was the only entity I could bicycle to that sold fishing gear…so, after collecting from my paper route customers, that’s where I pedaled my second-hand Schwinn. The rod was definitely suited to be sold in a hardware store. It was made out of steel and was telescopic…section extending out of section until the rod reached its full 8 or 9 foot length. Made by True Temper, it was heavy and ugly; it had maybe four guides on it including the tip-top, but I didn’t know any better and was determined to learn how to use it. The level line, as best I remember, was braid that was coated in some sort of smooth, plastic-like material…dark-brown in color. 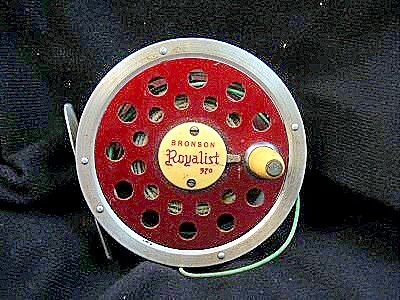 The best part of the assembled outfit was the Bronson Royalist fly reel. No drag, just a click to retard the spool a bit as line was pulled off the reel. The rod flexed all the way into the grip…horrible to cast…a real buggy whip. But I got the line on the reel, and the reel on the rod, and spent hours in the back yard flailing away. It worked, and it was with this set of gear that I caught my first fish on a fly rod…a 6-inch native brook trout from an unnamed creek in Milford, CT. Eventually the rod rusted beyond telescoping and the line coating cracked and fell off in chunks. So I moved on to a fiberglass rod and a better line…same reel…and continued to fish for trout. Although Milford was on the shoreline of Long Island Sound, I didn’t try fly fishing in salt water until the late 1960s. Just had no concept of how or why anyone would do that. 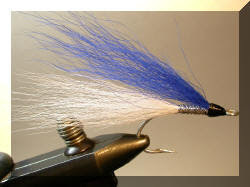 But remembering having caught snapper bluefish as a kid, fishing with cane pole, bobber, and shiners off Milford town dock, and having been a fresh-water fly-tyer since age 12, I put together a couple of sparkly flies that I thought might attract snappers. Went out on one of the rock groins at Laurel Beach with one of the flies at the end of my trout rod’s leader. The flies worked and I caught a bunch of the little fighters. This piqued my interest in salt water fly fishing. I began to read up on the subject. Read the chapter on “Salt Water Fly Fishing” in Joe Brooks’s Complete Book of Fly Fishing, published by Outdoor Life in 1958. Read the chapter on “Eastern Salt Water Streamer Fishing” in Joseph D. Bates, Jr.’s Streamer Fly Tying and Fishing, [Stackpole Company, 1966]. Somehow I determined that an 11-weight outfit was just what was needed for the gamefish of Long Island Sound. Bought a 9-foot Fenwick fiberglass rod and added a Pflueger Medalist #1498 reel and a weight-forward line to create an ensemble that would tax the arm of an Olympic shot-putter. But the rig cast pretty well and I was of an age when I could endure flinging a fly with it for a few hours without my arm going into spasm. So I whipped up several Brooks Blonde flies and set out for Cedar Beach where I’d heard the bluefish tended to congregate. I was hoping there wouldn’t be any other fisherman around for this, first venture out with the new rig. Of course, that wasn’t to be the case. It was evening, after work, and I arrived to find a group of spin-fishermen flinging top-water plugs out into the relatively calm water. There was no sign of any fish activity so the spin guys were taking it easy, talking, making a few casts, swapping fish stories. I walked to the beach a bit west of them and began to unlimber the 11-weight. A few guffaws from down the beach. A few snickers. I could feel the blood rising up the back of my neck. Made a few tentative casts. Was retrieving the Blonde…it must have been, say, 20 feet away from me, when…Wham! Something slammed the end of my line and took off for deeper water. 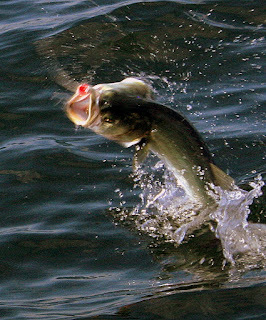 The fly line leaped…water showered off it. I was amazed. A quick look back to the east showed that the spin-fishermen were aware of what was going on with my line. They too were amazed. The fish jumped…rattling its gills. It came in close to shore and then dashed off again. 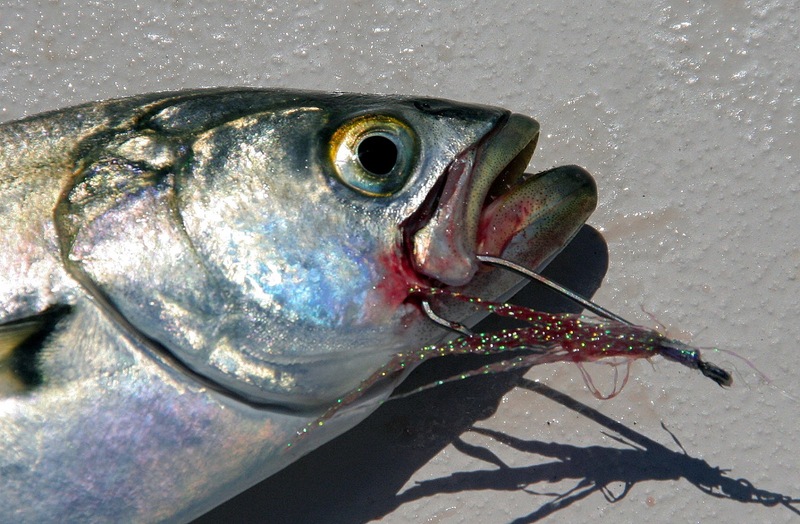 Fingers burned by the outgoing line…knuckles whacked by the revolving reel handle…I finally slid a 5-pound bluefish up onto the beach. Held it up. Made sure the spin fishermen got a look. Let it go back in the water. It swam off. Nearly 20 years after catching that first 6-inch native brook trout, I was now a confirmed saltwater fly fisherman.